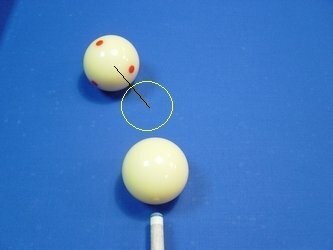 We see that aiming the pinp does not give the same point of contact on the played ball. 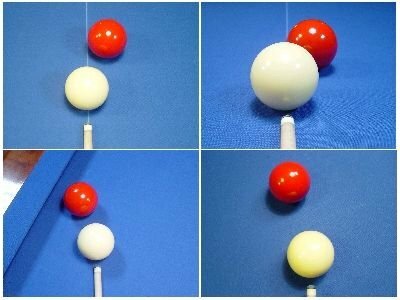 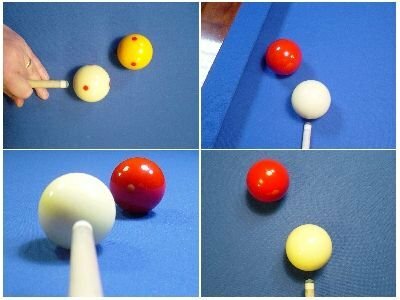 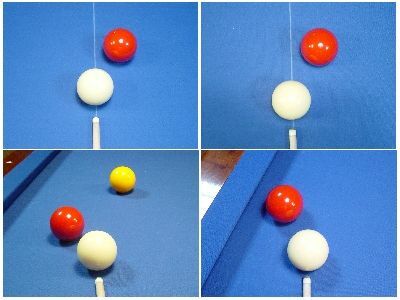 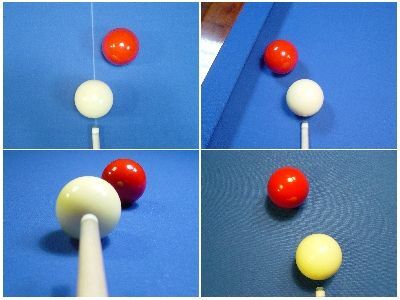 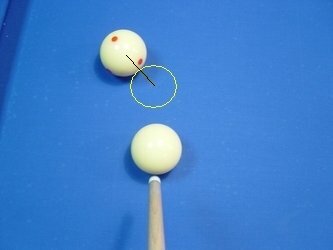 HOW TO AIM IN BILLIARD ? 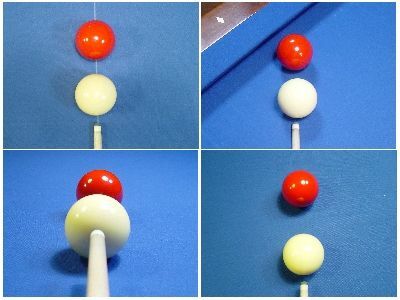 1) to aim without effect. 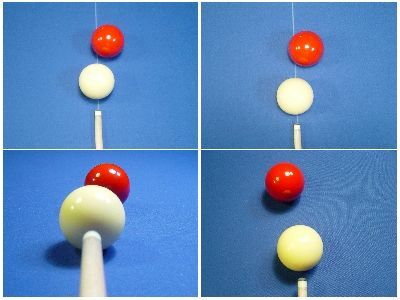 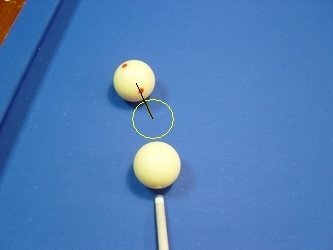 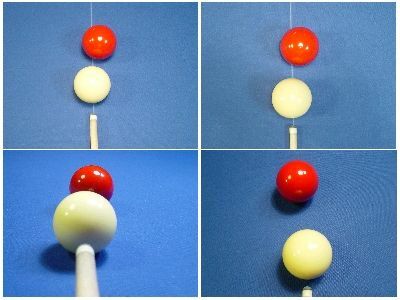 Aim without effect and move the cue on the left or on the right parallel to the line of sight. 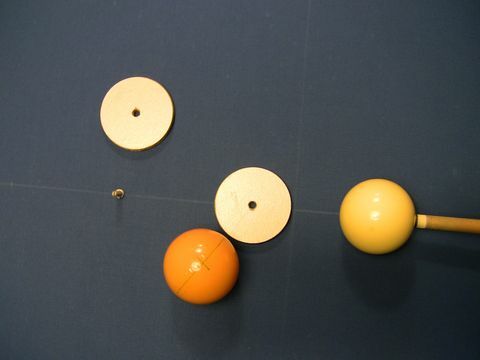 2) to locate the point of contact on the played ball without effect. 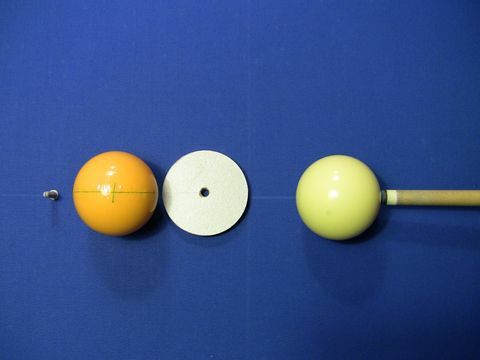 * deduction, the touch will be 1/2 ball for any side effect ( left or right side effect ). 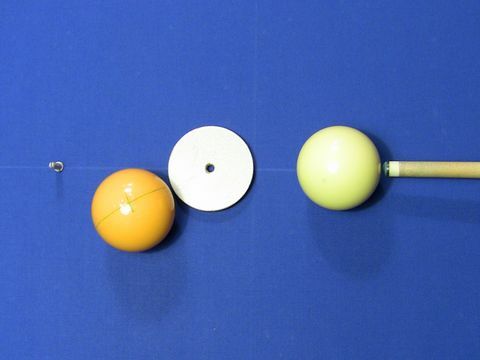 * deduction, the key touch will be 3/4 ball for any side effect. 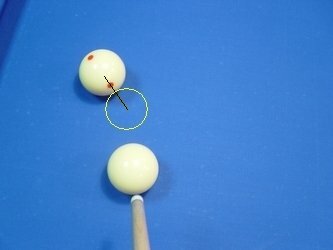 Then we raise the cue.